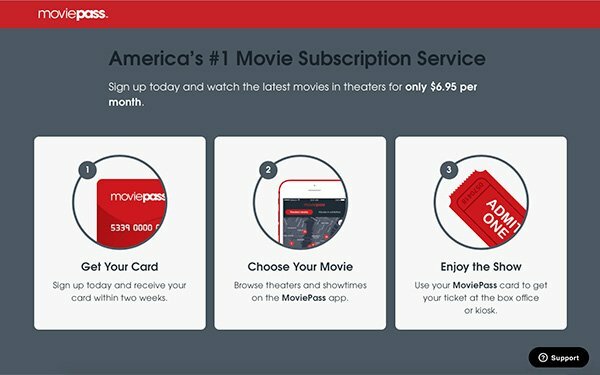 On July 4, the subscription theatrical movie service Moviepass officially rolled out Peak Pricing for popular movies and showtimes. The change had been rumored for some time, but it officially went into effect on the holiday. Moviepass did not indicate how much peak pricing will cost, only saying that the pricing is “dynamic.” A check of the Moviepass app Friday showed surcharges of between $2 and $4 in the New York metro area, depending on the film and time. Moviepass says users will be able to avoid the surcharge by choosing a less popular movie or time, and can also waive one peak surcharge per month. In the Moviepass app, lightning bolts next to showtimes indicates when peak pricing will be in effect. The addition of surge pricing comes as Moviepass struggles to stay afloat financially. Earlier this week the company said it hopes to raise $1.2 billion in stock and debt financing. In May it spent more than $40 million, according to an SEC filing, and it has only $18.5 million in cash on hand. Surge pricing may not stop the bleeding, but it might be able to slow it to some extent.